Literacy rates continue to rise from one generation to the next. Yet according to new data from the UNESCO Institute for Statistics, there are still 750 million illiterate adults, two-thirds of whom are women. These numbers are a stark reminder of the work ahead to meet Sustainable Development Goals (SDGs) 4 and 5 and the Education 2030 targets. The latest data show remarkable progress on youth literacy. 50 years ago, 22% of people between the ages of 15 and 24 lacked basic literacy skills compared to 9% today, and young people in Africa and Asia in particular, are far more likely to be literate than they were half a century ago. In Rwanda Adult literacy rate increased from 57.9 % in 1991 to 71.2 % in 2015 growing at an average annual rate of 5.42 %. Adult (15+) literacy rate (%). Total is the percentage of the population age 15 and above who can, with understanding, read and write a short, simple statement on their everyday life. Generally, ‘literacy’ also encompasses ‘numeracy’, the ability to make simple arithmetic calculations. There is hope that the literacy will increase in the future considering the fact that almost all children of primary school age, girls and boys, are encouraged to be in school since 2012. But still, 5.1% of females aged 7-18 years and 6.2% of boys of the same age have never attended school. To this end, Ready for Reading initiative is part of filling this gap providing a variety of after school educational opportunities that bring together all people, including kids who dropped out, kids in school and all kind of graduates, where they are able to access a wide range of literacy programs, digital literacy and other education opportunities through different platforms. Since 2013, Ready for Reading organizes monthly literacy awareness campaigns in different administrative Sectors of Kayonza District where we reach people in their homes, schools and in their communities. This year, through partnership with Ministry of Sport and Culture- MINISPOC. 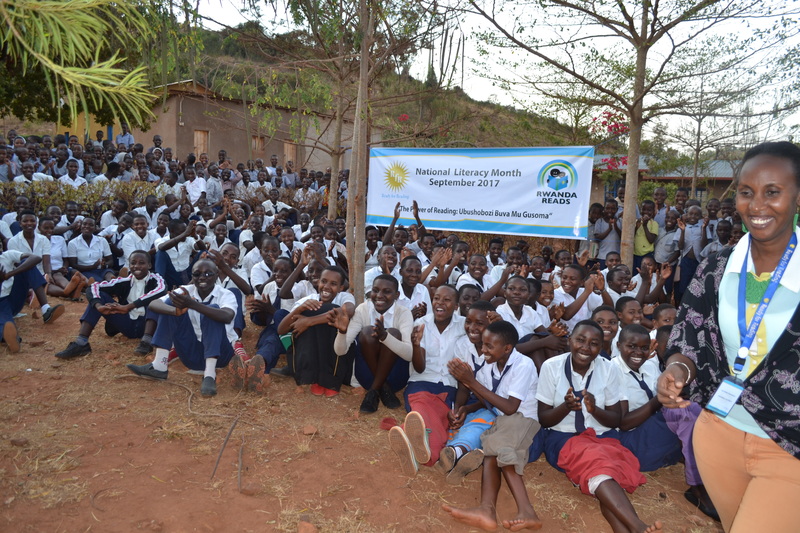 Rwinkwavu Community Library and Learning center is representing the Eastern Province in National Literacy Month conducting literacy campaigns and in schools and communities in the whole Eastern Province of Rwanda. September 5, 2017 the first campaign started at Groupe Scholaire Gishanda where around 350 students in primary and secondary School and their teachers attended the sessions and really enjoyed learning more about the power of reading and its last long impact. Keep following us for updates and insights about our National Literacy activities.